Nothing special. 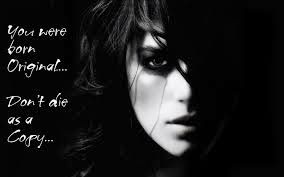 Just the wish to write something. I was looking for photos from Rameshwaram, when I came across this one. What good memories! Rameshwaram is a very special city, thanks to its concept, its creation and its symbolism. We have been fortunate to discover it with a guide who was really in love with this city and was able to make us share his enthusiasm. We are very grateful to him for sharing his passion with us. 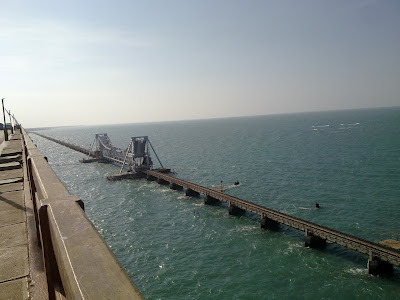 The Pamban Bridge is a cantilever bridge on the Palk Strait connects Rameswaram on Pamban Island to mainland India. It refers to both the road bridge and the cantilever railway bridge, though primarily it means the latter. It was India’s first sea bridge. It is the second longest sea bridge in India (after Bandra-Worli Sea Link) at a length of about 2.3 km.